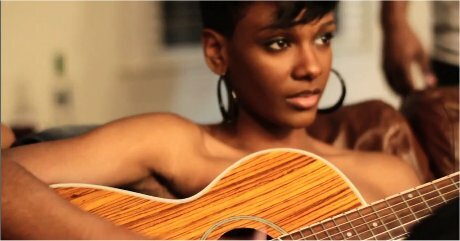 You’ve probably heard her smoky voice on the recently released Wale single “Bad”, but Tiara Thomas is an artist that does just fine all on her own. Not only is she our new girl crush with a ridiculous amount of swag, the 23-year-old Indianapolis native is beyond talented. Thomas, a self-taught guitarist, has risen to underground fame since 2009 with countless covers of music’s best pop and hip hop slow jams. Perhaps best known for her collaborations with Wale on songs like “The Cloud”, Thomas has covered songs by the likes of Drake, Kirko Bangz and Lil Wayne. Having acquired a faithful YouTube following and reaching more than 25,000 followers on Twitter, Thomas is an artist that is guaranteed to make her voice heard. A LP entitled “Sallie Mae” has been said by Thomas to be released in the near future. Until then, check Thomas’ YouTube page to get your fix. We recommend repeat listens to “Nikki” and “Bad/Some Cut” (peep the video below).